Black Diamond Solutions was chosen to develop an improved customer queue-management system for Int-AR-act so that they could effectively compete in that marketplace. A customer 'call forward' system helps shoppers move efficiently through a bank-style checkout lane. It has three elements - a button for the cashier to push, a register number indicator and a processor that ties it all together. Black Diamond Solutions set off to create a better system. They rapidly designed a prototype, tested it in store and built the final solution run by BrightSign XD1033 players. Over 10,000 final products were delivered and installed on time. “Our research quickly revealed that there were huge opportunities to improve upon the existing products," said Tucker McLane, President and CEO of Black Diamond Solutions. “Most retailers were using systems that relied on re-purposed garage door openers which were less than ideal. Furthermore, the systems serviced only a limited amount of cash registers and the indicator lights looked like they were designed in the 90’s." 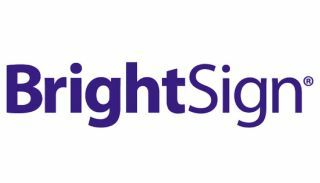 BrightAuthor was used to script the BrightSign content for 12 different brand-specific versions of the solution. Next, the register number needed to be redesigned. This is one of the products the customer sees, so it is important for it to look contemporary. Using RGB LEDs, BDS created a light source for the register number display to work inside int-AR-act's position indicator. The LED’s can be set to blink or hold any color in the rainbow. Using a proximity sensor, BDS created the perfect button for the system. It senses a person's finger and has no moving parts for a very, very long life. Integrated with a transmitter, the buttons can signal the controller wirelessly for easier installation. And dedicated power means no batteries are required. "That's the kind of change you can make if you have the ability to develop and manufacture from scratch," said Tucker.